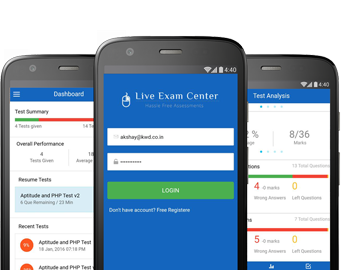 Ionic App Development Company in India | Hire Ionic App Developers India. Ionic is the cross-platform and hybrid mobile application development framework mainly focusing on the look and feel of your application and its UI interaction for building highly interactive apps. Being an Ionic app Development Company, we build interactive and incredible hybrid & cross-platform applications for iOS and Android with efficiency. Ionic mobile app development is mainly performance-oriented. It provides preprocessors, essential tools, and services for sharing code and other options for optimizing performance of the application. For Ionic apps you can skip the resubmission of your app changes on app store. Just push app changes & new features of your app. Application success depends on the look and feel of UI and technology innovation and delivery excellence. We are Ionic app development company having expertise on Ionic framework such as mobile SDK, UI library, themes, plugins to develop feature-rich and robust cross-platform apps. Ionic is focused mainly on the look and feel, and UI interaction of your app. There are powerful UI interactions, gestures, animations, and other things. 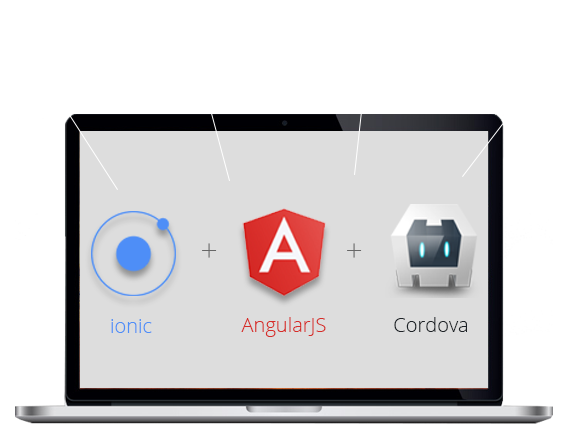 Ionic app development needs just one command to create, build, test, and deploy your Ionic apps onto any platform. Ionic CLI makes Ionic even more powerful mobile development service and tool. Our ionic app development services include designing an intuitive UI, developing cross-platform mobile apps for Android & iOS to customizing the mobile application, our ionic app development services cover the entire scale of development. Our Ionic app developers use AngularJS to fast-pace, style your app and powerful HTML5 SDK that gives native feeling mobile apps. Hire Angular Minds for your Ionic app development and we will bring all benefits of Ionic Framework & AngularJS on the table. Angular Minds is the best Ionic app development company in India. We have empowered Start-ups and Companies with Best Ionic framework Mobile App Development Services. Our creative Ionic app development team can transform your app idea into reality. With Our mobile app development strategy we have delivered mobile apps on time and within Budget. Here is the overview of our Ionic mobile app development process. We have a four-step process for gathering requirements & analyze them to deliver better. We share our Ionic app development strategy with you & plan timeline for app development process. Our developers work on apps in phases & share beta version with you at end of each phase. After development we test each function and feature through different test conditions. Testers explore your app and confirm a checklist outlining features and paths through your app to make sure it is working correctly. App Delivery is not at all end of our customer relation instead we maintain & support the Ionic app. We invest our time in training for Ionic app developers and encourage our development team through various seminars, conference, and other knowledge gaining activities. Thus, we have updated team with upcoming technologies and trends. We have technical expertise in HTML5, CSS, and AngularJS - all fundamental components of Ionic Framework. We have required infrastructural facilities with the best communication service during app development stage. If you have out of box app idea in mind then Angular Minds Ionic app development team is always ready to work with you. Our development team combines Ionic with AngularJS to get maximum benefits of the framework. AngularJS makes the code scalable so even after launch we can scale your app in terms of performance. We follow prerequisite guidelines for coding of the respective mobile OS platforms. We have delivered many apps in short time which have rich features and with high-quality. Hire our Ionic Developers for different project Requirements. We offer reliable support and maintenance for mobile apps even after delivery. Being a trustworthy Ionic app development company we offer to our clients, Ionic framework app development packages with enough flexibility and the most competitive rates. Our dedicated project managers share all beta versions and extensive reports to keep you updated and informed during the entire project development process. Angular Minds has an outstanding team of Ionic app UX developers, designers, programmers, and QA developers to help you at highly cost-effective rates as well as rapid application development. Let's get started building your high-quality Ionic apps with the web tech you know and love.